Sinkholes naturally occur when the earth below the surface is eroded away by water. Essentially, the ground becomes corrupted and collapses. Perhaps that makes the phenomenon an apt metaphor for Sarah O’Neill, who is seeking a fresh start with her young son after leaving his abusive father (or not). 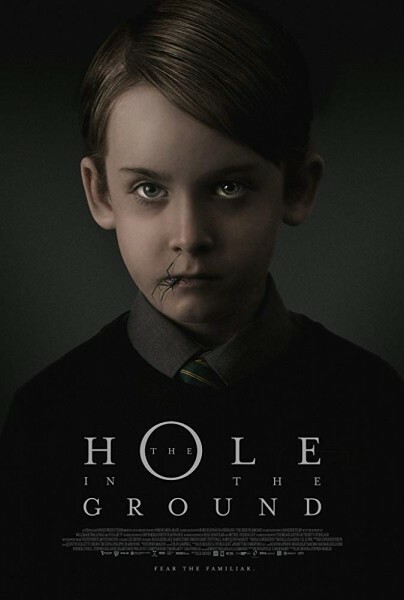 Unfortunately, she will trade a conventional horror for a supernatural one in Lee Cronin’s The Hole in the Ground (trailer here), which screened during the 2019 Sundance Film Festival. O’Neill was largely successful shielding her precocious son Chris from her violent husband, but she carries the physical scars of his abuse. They have moved to a sleepy provincial village, where nobody knows them—exactly the sort of place you find in horror movies. O’Neill has become a relentlessly overprotective mother, but Chris still manages to slip away into the woods, where an ominous looking sinkhole sets off all her internal danger alarms. Shortly thereafter, the borderline catatonic wife of their nearest neighbor suddenly snaps to, telling O’Neill her son is not really her son. Unfortunately, she will start to suspect that herself when Chris’s behavior starts to change. Most distressingly, he has apparently lost all memory of the secret game they share. Horrifyingly, O’Neill comes to suspect her son has been replaced by a doppelganger, but she is deeply confused and conflicted regarding how she should treat him. Hole is another horror movie that offers a revisionist take a parenthood, just like Jennifer Kent’s The Babadook. In this case, O’Neill’s formerly beloved son turns into a little monster. It is also a fine example to Irish horror, which generally seems to be distinguished by moody atmospherics as well as an often sinister view of rural life and the natural environment (as exemplified by Don’t Leave Home, Without Name, The Hallow, and The Canal). 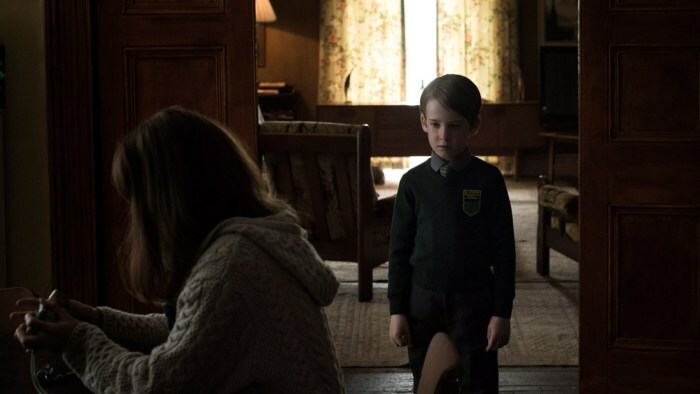 As O’Neill, Seána Kerslake convincingly implodes into a puddle of paranoia, while James Quinn Markey is quite chilling as the supernaturally altered bad seed boy. Their scenes together are all kinds of tense and awkward. It is almost a two-hander, but James Cosmo adds some grizzled humanity in his brief but memorable supporting turn as their neighbor, Des Brady. Granted, Hole is not outrageously original. Any fan could rattle off a list of films sharing a similar premise, but Cronin’s execution should still keep their attention focused. This is definitely a prime example of well-produced horror, especially with respects to Tom Comerford’s evocative cinematography and Jeroen Truijens’ subtly eerie sound design. Recommended for discerning horror consumers, The Hole in the Ground screened at this year’s Sundance Film Festival, ahead of its distribution via A24 and DirecTV.